Its $75 to drive. Register using the PayPal button below. Online Registration ends 11/20/14 at midnight. We are also having a Clinic on Saturday, November 22. This will be held both on the road course and the in the parking lot. We will be using the parking lot to focus on the basics like donuts, figure 8’s and the other building blocks of drifting. We will also be working on the road course to put that stuff into action. This will be a great chance to learn some new stuff and get a ton of seat time. Any B and C group dudes that can make it out to this really should come. Be at the track at 9AM for the clinic. We will go over some things to start off the day and then get to driving. We will drive until 6PM or everyone runs out of tires. 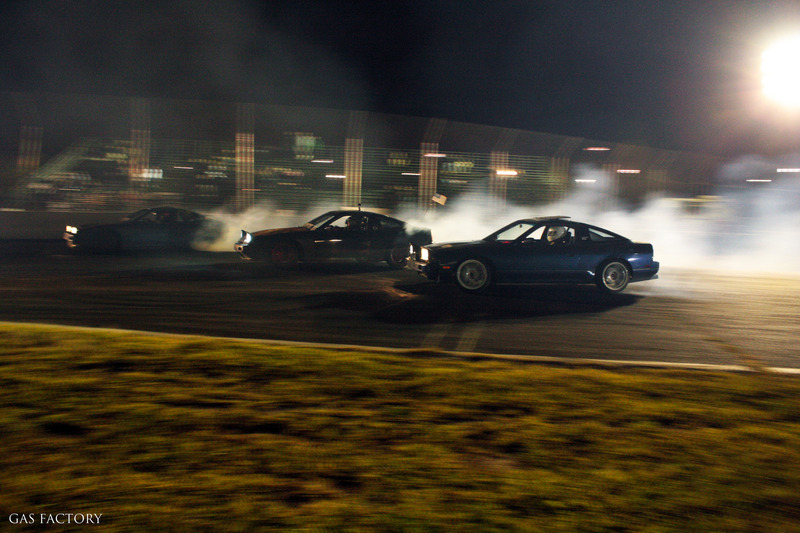 This is not a spectator event, everyone will have a chance to watch you drive the night before. All cars must pass tech. There are 2 options for registering for the clinic. 1. Come to just the Clinic and miss out on driving at FNDP – $150. Space is limited, so don’t wait to sign up. 25 spots are available. Registration for the clinic will stay open until it is full.